Last year I learned something about tomato plants which I think applies to parenting. My steel tomato cages worked well to prop up the tomato plants when they were young. But once the tomatoes grew to chest height and produced fruit, the cages tended to tip and the plants fell. 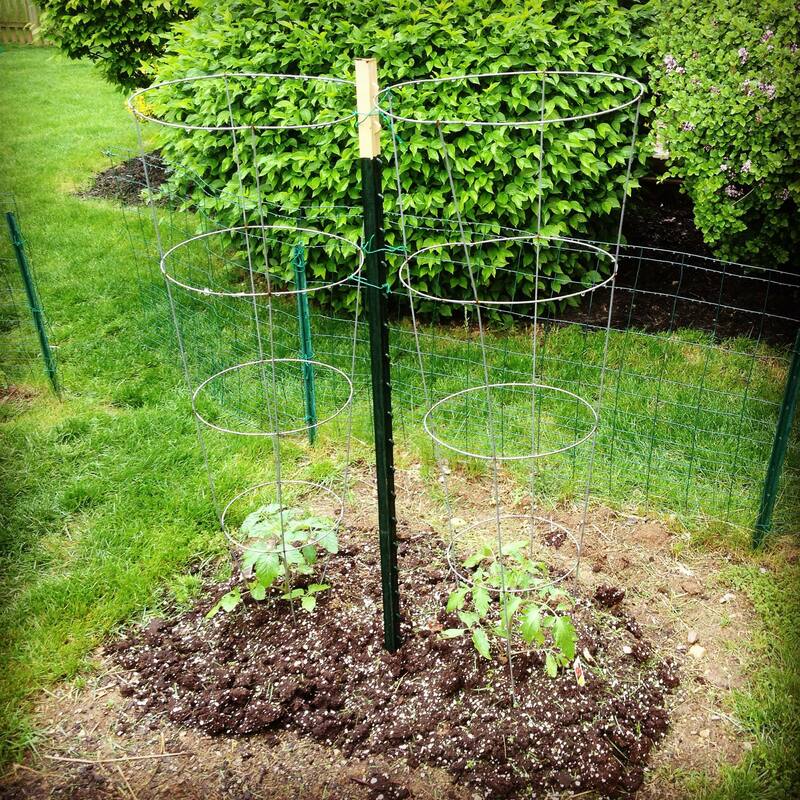 My tomato plants needed a steel stake–a strong, unmoving reference point–to anchor to when they grew tall. Parenting is like that. The rules I place around my children prove helpful when they’re young. Like steel tomato cages they help prop up my kids and provide limited stability. But children need more than mere rules–a steel structure of dos and dont’s–to grow strong and healthy. They also need an example of good character which runs strong and straight and true. Rules serve a purpose, but rules alone are inadequate. The example of a good and kind character, a life full of the fruit of the Spirit and love for God and neighbor, is the best gift I can give my children if I want them to grow strong and healthy. I wonder whether the decisions I make today will cause my character to falter or to stand straight and strong? Am I living in such a way that my children will someday look past the family rules to see a life they want to imitate? I hope so. There’s a lot at stake.